Ahhhh, the timeless yet useless schoolboy excuse. My dog ate my homework. Maybe it works once, but no one should think that it works all the time. If you're going to give an excuse that will clearly not work, you might as well give them something creative and clearly impossible. 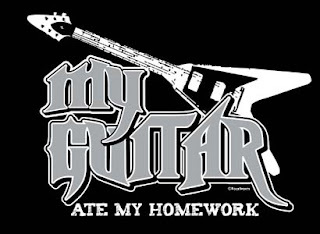 My guitar ate my homework, it says I have too much pride to say that I forgot and lets the chicks know that you play guitar. It's a win win.